Paris Saint-Germain advanced to the last 8 of the CDF on Wednesday, using two first-half goals from Yohan Cabaye and Edinson Cavani to secure their place in the quarterfinals. The Uruguayan hit-man once again thrived in the absence of Zlatan Ibrahimovic and will have picked up some much-needed confidence when he will surely be thrust back to the wing here as the Swede is set to return. The debate rages on as to whether the Parisians have been better with or without their superstar striker this season, as Wednesday witnessed a flowing team full of cohesion opposed to a collection of stars. But that is neither here nor there as he remains their best player and won’t be losing his starting job, and the hosts must now turn their attention to Caen. They have already conquered them this season in the reverse fixture, comfortably downing them 2:0 with goals from Lucas and Marquinhos. 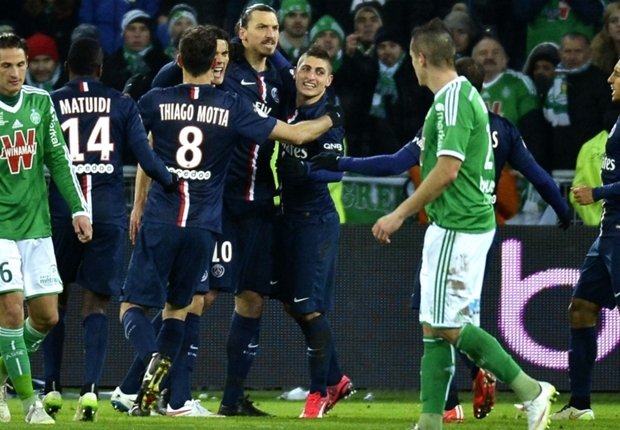 It marked the 6th-straight match against Caen in which the hosts have scored at least 2 goals. Furthermore, they are unbeaten in their last 7 Ligue 1 clashes with the travelers, managing to take all 3 points on 6 of those occasions. Something similar is the expected outcome here in the French capital. Caen team take their 4-match winning streak and a load of confidence to the Parc des Princes. They have spring-boarded themselves away from the relegation zone a bit and now sit at 4 points above the dreaded bottom 3. For a team that had drawn 3 and lost 8 of their previous 11 competitive fixtures, it has been a remarkable turnaround for Patrice Garande and his troops. They have outscored their opponents 11 to 2 over their 4-game winning streak, most notably conquering ASSE, 1:0. Julian Feret has been on absolute tear and is in large part the main culprit in their run of good form, scoring 4 goals and adding 3 assists over just their last 4 outings. Furthermore, they will take Ligue 1’s 2nd-highest scoring away tally to the French capital here, and it wouldn’t be surprising to see them find a way to break down the hosts once or twice. However, it’s important to note that the visitors have taken just 4 total points from 11 matches this season against the top half of the table, and Saturday should see their winning streak snapped at 4.